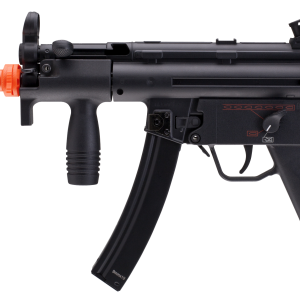 The HK45 CO2 Airsoft Gas Pistol is the fixed-slide, CO2-powered version of our popular gas blowback version. 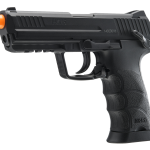 Whether you live in colder temperatures that aren’t conducive to green gas use, or perhaps simply looking for a more affordable HK45 airsoft pistol option, look no further. 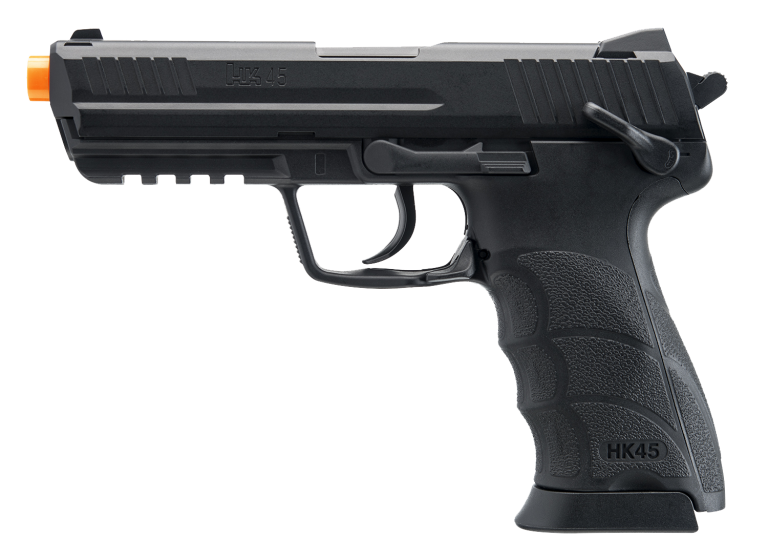 The HK45 CO2 Airsoft Gas Pistol is the fixed-slide, CO2-powered version of our popular gas blowback version. 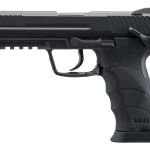 Whether you live in colder temperatures that aren’t conducive to green gas use, or perhaps simply looking for a more affordable HK45 airsoft pistol option, look no further. 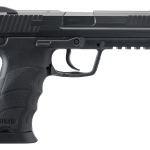 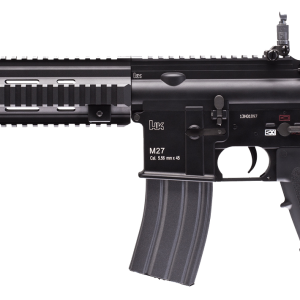 The HK45 CO2 airsoft gas pistol is a licensed Heckler & Koch replica, true to form of the popular HK45 firearm, which is chambered in .45 ACP. 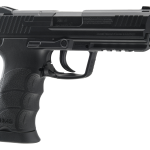 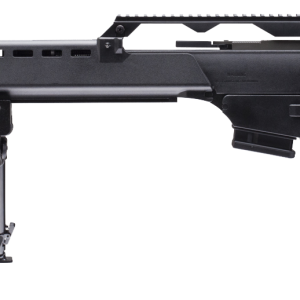 While the slide is fixed, or “non-blowback” in other words, the HK45 CO2 airsoft gas pistol does feature a functional hammer for added realism, a 15-round magazine, and a well-regulated internal system that keeps velocity right around 345 FPS, perfect for safe use and compliant with most indoor CQB field limits.